Ohh man I love baklava.. om nom nom nom! 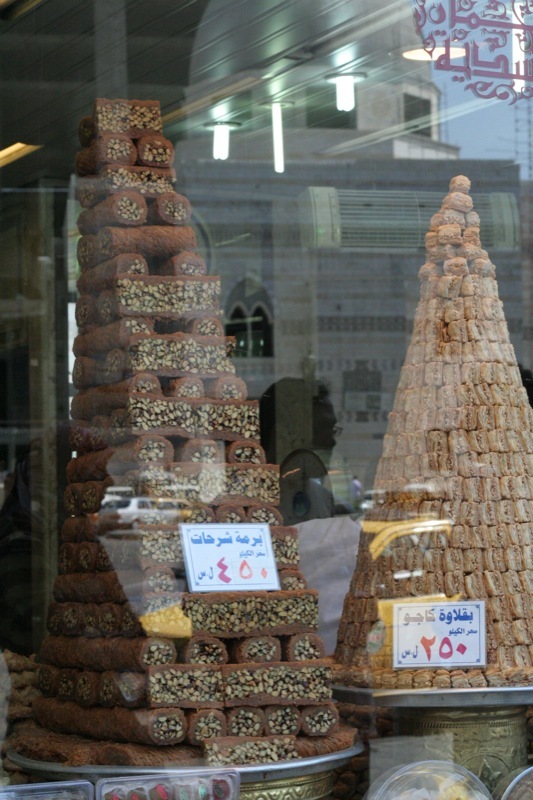 Every time I see those stacks in Syria and elsewhere I always wonder how fast they sell out and if they’re fresh or stale. I guess they must be selling very quickly to warrant making that much? Huge baklava fan here. 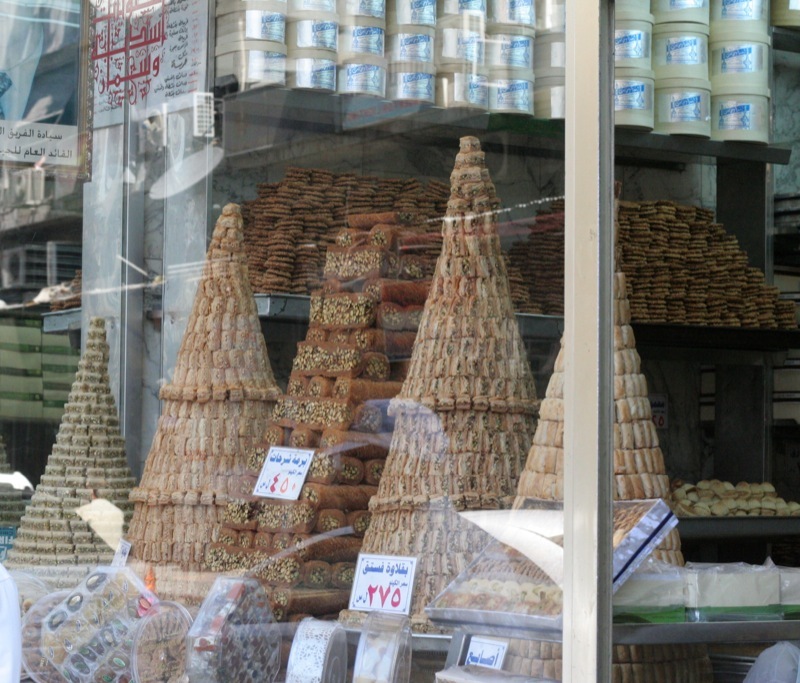 I would love to see baklavas made with different types of honey. Dark flavorful honey would probably make it taste totally different than a more mild lighter honey.